Hear student music productions in the Dubspot Maschine Chronicles – an online music compilation highlighting some talented producers that have worked with Shareef Islam as part of Dubspot’s Maschine program. Maschine classes are starting soon in NYC, LA, and online. Register now! One thing we love to do is brag about our students. We enjoy sharing the knowledge of music production and seeing an artist grow is one of the most gratifying parts of the experience for us as educators. Dubspot’s Maschine Chronicles is an online compilation project that instructor Shareef Islam put together to showcase the talented students and productions that he discovered recently in Dubspot’s Maschine program. Shareef Islam: Our Maschine course at Dubspot is fun & exciting, but vigorous. I say that because we are learning software & hardware at the same time — it is all integrated. At the same time, we are learning basic music theory, audio editing, mixing, basic sound design & various production and performance techniques. It is a lot of info — missing a class or two is really not an option because in one class there is so much to grasp!! The students who do have to miss a class or two always ask for private classes. In addition, we provide access to our online videos to help with further explanation, homework and any missed material. Shareef Islam: The Maschine compilation idea came to me at the end of one Maschine courses about a year ago. I wanted to give my students something that would represent the awesome Dubspot experience, as well as a tangible goal in which they could apply their new Maschine knowledge. I thought a production compilation would be the best way to showcase the skill/talent of my students, plus highlight what the Maschine course at Dubspot has to offer — not to mention giving them exposure to the world of Dubspot followers and my own industry contacts. Who knows? Maybe a producer, film director or game developer will check out the student work — I am always looking to pay it forward!! What’s next for Dubspot Maschine students? Shareef Islam: I am looking to expand the Maschine compilation into a live event for students to showcase their live Maschine skills and maybe even a video series to accompany the show. Steadily pushing the Dubspot Maschine Course to the next level. Rodney Swain aka Glazer Soze- THE DUB SPOT!!!!!!! 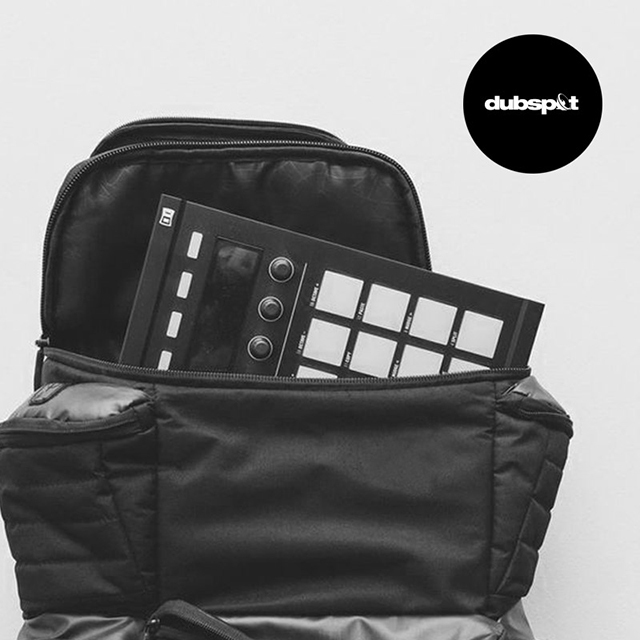 All tracks created by Dubspot Students and Instructors using Native Instruments Maschine. Compiled by Maschine Instructor, Shareef Islam (Tek Maschine). Native Instruments Maschine has redefined how hardware and software interact for production and performance. Our course takes you from the basics of NI’s Maschine to creating and performing full tracks in a groundbreaking environment. In this video, students and instructors talk about their experiences. Also check out Dubspot’s Top 5 Maschine Tutorials of 2012 w/ Mike Huckaby, Matt Cellitti, and Justin Aswell HERE.